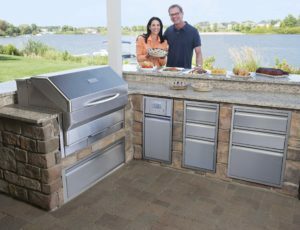 Since built-in grills are intended to be permanent structures, it is important to invest in quality construction and a solid warranty. Here at Smoke, Fire, & Spice, we carry both high-quality US and Canadian made units: brands like Fire Magic, Twin Eagles, Delta Heat, AOG, and Napoleon. We work with the contractor you choose to ensure you get the design you want. 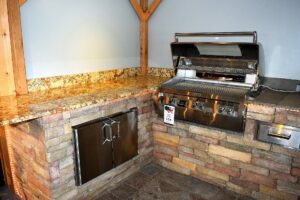 We are very excited to announce that we are now a Memphis Wood Fire Grill dealer. 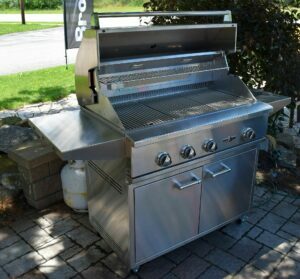 You now can have a US manufactured, stainless steel, built-in pellet grill! !